From time to time there are server errors and uptime issues that prevent us from completing our work and using Teamwork Projects to its fullest potential. These issues are often rectified quickly, but they seem to happen more frequently than other platforms we've used in the past. I would love for new functionality to be added to Teamwork Projects to record and store our client contract details. Being a professional services agency, we have multiple contracts for our various services and each has their own corresponding monthly hours bank that we work off of. We currently have to use external tools to track this information. I would say that Teamwork blows Trello out of the water, but Goodday may be better, especially when you consider the current price difference.I really don't like Trello. 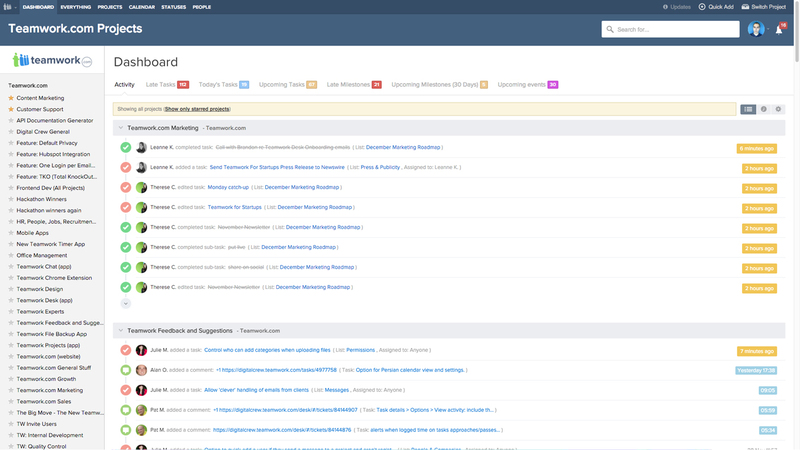 The part of Teamwork I don't like the most is Board View and Trello is basically just board view! Board view is kind of useless for having tasks that need to be done in order. The way I think is in lists. I want to log in and see the lists of everything I need to get done, with dates. In Trello I have to read through a bunch of cards on a bunch of different boards. To me it just seems difficult to organize. I also like marking something as complete way better than just moving a task to a "done" column or archiving a card.Goodday was FAST. It may be because they don't have as many users, I don't know, but the speed was incredible! I didn't realize how slow Teamworks loading time until I used Goodday. Goodday's organization is also very impressive. It can automatically make boards by priority, custom categories, and such. I think that is much better than having to go in and create a board view from scratch. Plus, last time I checked, Goodday is free! Teamwork helps keep projects moving, which means they are more likely to be on time and thus provide new income.